There's absolutely nothing wrong in visiting your stylist for a good haircut, especially when you get to gist with your fellow men at the Barber's shop. Learning how to cut your hair can save you some cash to be used for other things. Using hair clippers is not rocket science and can be used by anyone with an interest for it. In this article, we would be showing you how best to use hair clippers to get that amazing haircut you love. All clippers come with several attachments that help cut hair into different sizes. The only difference is that some clippers come with more options than others. Most times the sizes available range from size 1 to 8. Using a size 8 or the biggest in your collection would leave your hair length at about an inch long. Using sizes below 4 will show your scalp and could make you susceptible to sunburn. With this in mind, you should be able to select the guard size you want. If you're still not certain, it's always safe to go with the bigger sizes first. It is always advisable to keep the hair dry before cutting with a clipper. Not only would it be slippery for the clipper, you could expose the clipper to rust overtime. If your hair is wet, get a dry towel and try and dry it out. You can also use a hairdryer if it's readily available. To begin the cutting proper, with the blade down, hold the clipper firmly and work against the direction of your hair growth. By doing this, you would be able to get access to more hair. This is the best way to get the hair cut. To avoid any form of injury, ensure you work your clippers slowly on the hair. If used in a fast motion, it may tug on your hair and injure your scalp. If moved slowly, you would be able to notice changes to your hair level. This way you would be able to attain a smooth cut. With the successful cutting of the hair, you would need to trim the edges to make it look neat. To do this, remove the guard or attachment from the hair clipper. 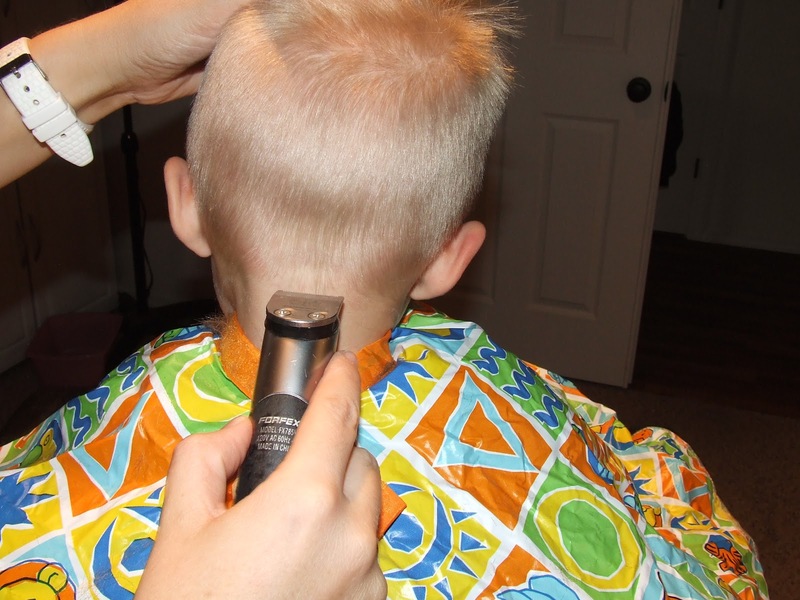 Use the clipper to line out the back of your neck and just around your ears. You have to be very careful to avoid making mistakes or causing injury to yourself. This gives a smooth and comfortable feel when touched. Do same with the sideburns but ensure they are of the same length. With a mirror in place the entire time, make sure all lines are drawn out correctly. Once you are done with the cutting and lining of the edges, switch off the hair clipper and disconnect from its power source. Clean out the hairs attached to the clipper with the aid of a clipper brush. 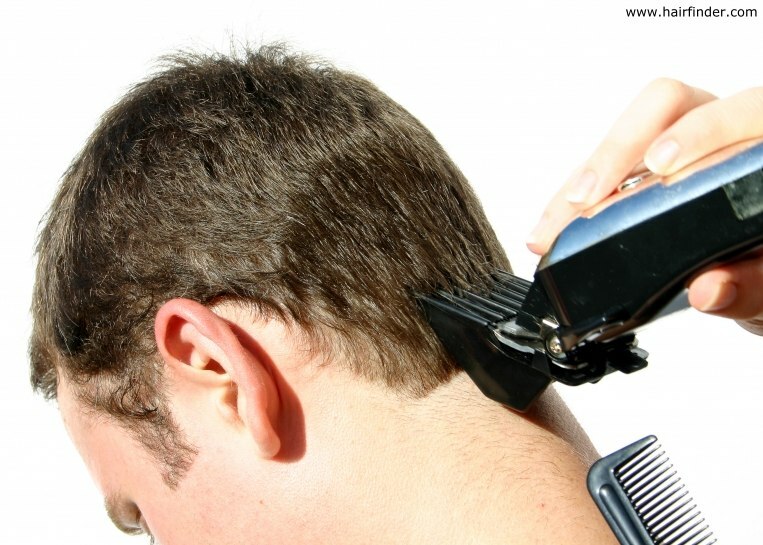 Do this properly to ensure there are no hairs left on the hair clipper. After every use of the clipper it is always advisable to disinfect them against bacteria. The best disinfectant to use in this case is alcohol. It is able to neutralize and kill out all microorganisms lodging or that may lodge in the clipper's teeth. Even if the hair clipper is used by only you, you still need to maintain it by applying alcohol. After this is done, you would need to apply a thin layer of oil on it. This keeps the blades lubricated and prevents rust. Is the Trimmer Better or the Shaver?